 Crushing grapes or fruit prior to the primary fermentation helps to breakdown the fruit pulp and allows the juice to flow out so that it can mix with the yeast for fermentation. 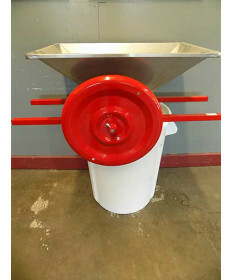 For the more serious winemaker making 10 gallon batch sizes or more, a more sizable crusher is needed. 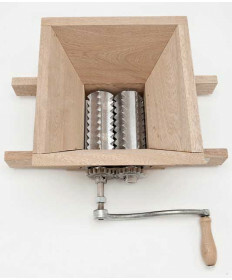 A manual crusher with a Destemmer is ideal for making red wine from grapes. Removing stems by hand or with a paddle can be tedious and time consuming. Leaving too much stem material in a batch of wine can lead to vegetal flavors and an overly tannic wine. A machine that can crush the fruit and remove the stems in one step will save great amounts of work and make better wine. The destemming screen can be removed for cleaning or the production of white wine (when stems will be left in for easier pressing of white grapes). 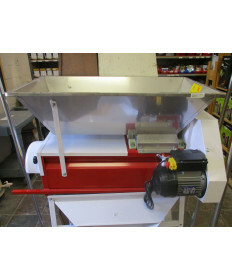 For those producing only white wines or smaller batches, a grape crusher without a destemming screen will do the trick. The serious or semi-professional winemaker will likely want a Motorized Crusher/Destemmer which can plow through 1.5 tons of grapes per hour and remove the stems at the same time. 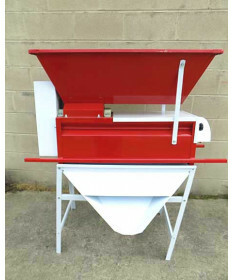 Contact Us if you have questions about any of our grape crushers.